DALLAS and CAESAREA, Israel, Oct. 12, 2017 /PRNewswire/ -- Zion Oil & Gas, Inc. (NASDAQ: ZN) continues active drilling operations at its Megiddo-Jezreel #1 well in Israel, near the eastern border with Jordan. Zion has now drilled to a depth of approximately 10,850 feet (~3,307 meters) toward a possible total depth (TD) of up to ~15,000 feet. Zion's CEO, Victor Carrillo, says, "We've now drilled over two miles into the subsurface. Between 4,000 – 6,000 feet, we encountered four separate zones worthy of possible production testing as evidenced by NUTECH's enhanced petrophysical analysis. We plan to test these zones after we reach TD, run wireline logs, and obtain NUTECH's petrophysical analysis from ~ 6,500 feet to TD." Carrillo further emphasized, "Based on a variety of factors, including increased total gas and heavy gas component indications ("shows") an order of magnitude higher than what we've previously seen, we believe we're on the verge of penetrating a key zone of interest, the Triassic Mohilla Formation, that has produced significant quantities of oil in Givot Olam's Meged Field in Israel. However, even after we reach TD, we won't comment or speculate on the volume, producibility or commerciality of the zones of interest until after we finish production testing." Dustin Guinn, Zion's President & COO, announced, "At a depth of 3,270 meters we saw a significant lithological change that is what we have been anxiously awaiting. While no assurance can be provided that we will ultimately establish commercial production, I am cautiously optimistic about the deeper geologic horizon to which Victor alludes." Based on the results to date, we are launching our new $250 Unit Program under our Dividend Reinvestment and Direct Stock Purchase Plan (DSPP). This Unit Program seeks to ensure adequate cash flow to properly test hydrocarbon zones that we've already encountered and those we hope to still encounter. 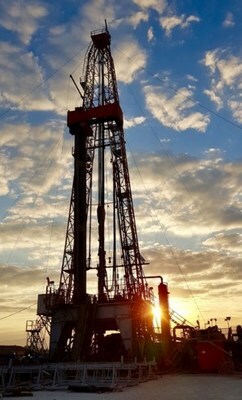 In addition, if this well is successful, we will need to purchase and install production equipment, and continue with further field exploration efforts that could include activities such as new 3D seismic imaging, drilling offset wells, and preparing for further field development as warranted. 15 common stock purchase warrants. Each warrant (symbol "ZNWAG") affords participants the opportunity to purchase one share of ZN common stock at a warrant exercise price of $1.00. The warrants will become exercisable beginning January 8, 2018, the 31st day following the Unit Program termination date, and continue to be exercisable through January 8, 2021 (three years) at a per share exercise price of $1.00. If the Company's Common Stock closing price trades above $5.00 per share for 15 consecutive trading days at any time prior to the warrant expiration date, Zion may provide a notice to warrant holders of an early warrant termination within 60 days of the notice. Zion Oil & Gas, Inc. has filed with the SEC a registration statement (including a prospectus) for the unit program under the Dividend Reinvestment and Direct Stock Purchase Plan (DSPP) to which this communication relates. That prospectus and other documents the Company has filed with the SEC may be obtained at no charge (free) by visiting EDGAR on the SEC website at www.sec.gov. Alternatively, the Company will send you the prospectus upon request by calling toll free 888-891-9466. Direct links to the SEC location, or to the documents in PDF, may be found on Zion's home page at www.zionoil.com. Zion Oil & Gas explores for oil and gas onshore in Israel and its operations are focused on the Megiddo-Jezreel License (approximately 99,000 acres) south and west of the Sea of Galilee. FORWARD LOOKING STATEMENTS: Statements in this communication that are not historical fact, including statements regarding Zion's planned operations, geophysical and geological data and interpretation, anticipated attributes of geological strata being drilled, the presence or recoverability of hydrocarbons, operational risks in testing and well completion, the sufficiency of cash reserves, ability to raise additional capital, timing and potential results thereof and plans contingent thereon are forward-looking statements as defined in the "Safe Harbor" provisions of the Private Securities Litigation Reform Act of 1995. These forward-looking statements are based on assumptions that are subject to significant known and unknown risks, uncertainties and other unpredictable factors, many of which are described in Zion's periodic reports filed with the SEC and are beyond Zion's control. These risks could cause Zion's actual performance to differ materially from the results predicted by these forward-looking statements. Zion can give no assurance that the expectations reflected in these statements will prove to be correct and assumes no responsibility to update these statements. SOURCE Zion Oil & Gas, Inc.